Thank you for contacting Tony with your feedback. Tony receives around 2,000 emails a day! Even though he is in the process of training a herd of diligent dinosaurs to use a keyboard, it may take a little while to respond. In the meantime, a small team was round-up to lend a helping hand. Tony does take a break from training the dinosaurs to read every email he receives. He did review this email and asked me to respond to you on his behalf so we could get a response to you in a timely manner. I hope you are enjoying your time in the Bay area. I have never been there but I would love to visit sometime. I wish you all the best with your online strategy and ecommerce blog! I have included the information below for a tour of our headquarters. I have also forwarded on your information to the proper department. You should be receiving a response soon in regards to meeting with Tony. Zappos Insights members have access to “Culture Labs”, videos and much more to learn from us and use in their businesses. It was wonderful hearing from you today! If you ever have any questions, comments or stones to throw, please email me back directly. I will make sure they are reviewed by Tony and myself during our daily discussions. You are also welcome to contact us at 1-800-927-7671 . We live in Las Vegas so the lights are always on! My name is Liz, and I assist Tony here at Zappos. We would love to have you visit our office the next time you are in town. Tony is traveling extensively through this summer, so I cannot guarantee he will be in the office. Which dates are you thinking you would like to come in? I would suggest a day Monday through Thursday since Fridays tend to be on the quiet side around here. Our tours are Monday – Thursday at 9am, 11am, 1pnm and 3pm. Each tour takes an hour. I look forward to hearing back from you. I have arranged for the shuttle to arrive at the Wynn at 8:30am PT. It will be out front of guest check-in/registration (where you would go to find a taxi). The shuttle will take you to the airport post tour, so you will have plenty of time to get checked in. Wie besprochen hat uns zur verabredeten Zeit ein Zappos Fuhrparkauto vom Hotel abgeholt und zur einstündigen Zappostour abgeholt. Diese Art von Service ist mE sehr cool und ich möchte mich für den ca. 200$+ Aufwand (Vollkosten für Zappos) gerne mit diesem kleinen Artikel bedanken. Am Ende gab es noch die zwei Standardbücher (Happiness & Culturebook), einen 20% Gutschein, die Taxifahrt zum Flughafen und nette Abschiedsmails obendrauf. Bei Zappos geht man auch sehr transparent mit Umsatzzahlen um. Anbei die im Eingangsbereich aushängende, tägliche aktualisierte Umsatzinfo. Mann-O-Mann, das ist schon beeindruckend. Man kann darüber reden, den Kunden zu „WOW!en“ – oder man kann es machen. Bin schwer beeindruckt. Überlegt Euch mal, wer bei uns sein Office so organisiert hat, dass die e-Mails nicht nur vorsortiert werden, sondern auch noch persönlich nicht aufschiebend, sondern zielführend beantwortet werden können. Wow! Mich verwundert dabei nur etwas, dass im Vergleich zu Amazon Zappos mit einem doch sehr eingeschränkten Sortiment immerhin 10% des Umsatzes des derzeit größten Anbieters weltweit einfahren kann. Danke für den interessanten Bericht. 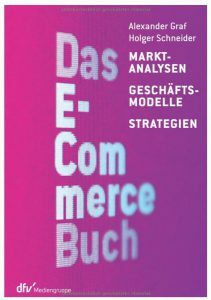 Das liest sich, wie ein Best Practice Beispiel eines Management Handbuches und zeigt wie professionell das Unternehmen geführt wird. Der Erfolg des Unternehmens ist von daher leicht zu erklären, wenn auch die tägliche Umsetzung dieses Levels in allen Bereichen genau das Gegenteil ist. Das Management lebt und lehrt diesen Servicegedanken und die Mitarbeiter ziehen mit. Ich meinte das Gegenteil von leicht. Im Tagesgeschäft von allen Mitarbeitern auf allen Ebenen diesen Qualitätslevel zu halten ist harte Arbeit.